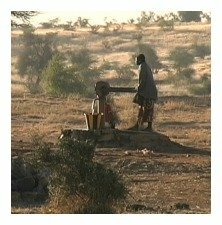 Chatting with Jesus at the well, a Samaritan woman discovered how to draw living water to quench her spiritual thirst. Join me for thought-provoking knowledge about your salvation. 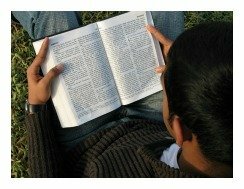 Please read John 4:1-30 before starting GraspingGod.com's free Bible study lessons, #2.14. 1) What is living water? 2) Who caused the conversation between the woman and Jesus at the well? 3) How does the Law assist God in saving your soul? Hey there! I've got a deep lesson for you today. It's a story between a woman and Jesus at the well in Samaria. This is an awesome story loaded with tons of knowledge about God and how he saves us. Let's see how God is working in and through humanity to bring them to salvation. The story of Jesus at the well highlights how the members of the Trinity are working in the world to lead people to salvation. God desperately wants to kindle a vibrant relationship with you, so put yourself in the shoes of the Samaritan woman at the well. I hope you become as excited as she was! Make sure to catch the Woman at the Well video at the end of the lesson. God the Father is the source of all good things. He is the cause of all good. His power and providence led to all physical life, and to all spiritual life. You’ll never see him with the naked eye and you’ll never shake his hand. He is incorporeal and infinite. He is the ultimate Creator. We are his creation and subject to him. Our lives will be held accountable to him with no exceptions. With those biblical facts in mind, let’s begin with the Father and his role in bringing the woman at the well to salvation, if in fact, she got saved. We will assume she did. God the Father gave a wonderful gift to us – Jesus Christ (John 4:10). That was the first thing he did within the context of this passage. Without Christ there is no salvation and there would be no story of the Samaritan woman and Jesus at the well. The Father’s love gift of Jesus made this all possible. Christ tells the woman that she didn’t know about this gift, therefore she had no idea who was speaking to her. The Father is providential - meaning that he is the One strictly in charge and in control of all things that happen in creation. All good things happen because of him and all things, both good and bad, happen under his close scrutiny and approval (Psalm 145:9). That’s our Father! He is an awesome God. He’s in charge, totally in control and he’s looking out for us. He wants what’s best for us. He gives opportunities by drawing people to him through his Son Jesus. He works matters out to where a person can run smack into the gospel (aka good news). 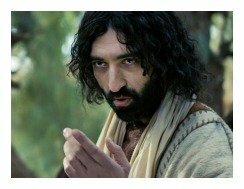 And he guided the Samaritan woman directly to Jesus at the well. What a fortunate woman! Wouldn’t you have loved to walk into the path of Jesus? The text says this meeting took place at around 12 noon, which is interesting in itself because normally in this era the women would draw water first thing in the morning or later in the evening. But because of her immorality, which we will talk about in a little bit, she would come during the hottest part of the day to avoid the townsfolk. The Father worked this out. He led her there through all of her circumstances. And we already know that Jesus at the well happened because of the Father, because he came to fulfill the will of his Father (John 4:34). So, every move He made, every word He spoke and every thing he did, was guided by the Father’s will. Think about that in your life. Do you think your salvation happened by chance? Do you think that you had a lucky day when you got saved? Maybe you think that you happened to be in the right spot at the right time and heard the right words - all by pure luck. I hope not. That’s not what the Bible teaches. It shows that your loving, heavenly Father directed you through your circumstances, by his Spirit, to where you needed to be. Salvation is no accident. Jesus Christ’s role in salvation began in eternity past. He agreed to become incarnate. He was born of a virgin. 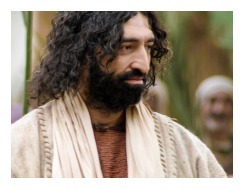 He lived a sinless life. Died a humiliating death. He rose from the dead. He ascended to heaven. He perfectly fulfilled God’s plan of redemption. Let’s now look at what he did during his earthly life in regards to salvation. First, Jesus meets people on their turf. He seeks people. He comes to them. Jesus was passing through Sychar and became thirsty. He knew of this well and walked there to take a break and get a drink. A resting Jesus at the well was soon encountered by a Samaritan woman. He knew she would be coming. It was a divine appointment and Jesus wasn’t late. He always shows up right on time! Jesus at the well was right on schedule. Jesus breaks barriers. This was a Jewish male talking to a Samaritan female. This conversation broke all of the rules. The Jews despised the half-breed Samaritans. They wouldn’t give them the time of day. The two groups hated one another. Not only that, but Jesus at the well was actually talking to a female, of all things [I'm being facetious here]. Women weren’t exactly highly exalted at this point in history, but that didn’t stop Jesus. He came for sinners. Jesus at the well broke the cultural taboos for the sake of precious souls. Racism wasn't part of his mindset and it should not be ours. We’ll never know, at least on this side of heaven, if the woman ever gave Jesus a drink. The text doesn’t say. But Jesus undoubtedly led this conversation to where he wanted it to go. We saw him do this with Nicodemus, as well. He begins talking about earthly matters, but then swings it over to spiritual matters. He uses things that have both earthly and spiritual meanings. With Nicodemus it was birth, and with the woman at the well it was thirst. Jesus has an incredible knack of showing people their spiritual needs. He realizes the spiritual life is far above and beyond more important than this short earthly life. He knows what’s most important and he guides people there. Jesus at the well turned the table on the woman. He told her that if she knew who he was, she would be thirsty for a drink from him. That’s brilliant! That will get a person thinking. Like Nicodemus, the woman at the well couldn’t make the transition from the earthly to the spiritual. Nicodemus thought he had to go back into his mother’s womb to be born again, the woman thought Jesus was going to give her water from a well. The timely expression “living water” meant water which was fresh, or water that was in a stream or from a spring-fed well; not water from a stagnant pond, or a regular well. Jesus at the well is teaching this woman what she needs to reconcile her life with God. People don’t have that knowledge naturally (aka innately) - they have to hear God's word (Romans 10:17). Jesus was trying to tell her that her soul was dry and thirsty and that she didn’t have God in her life. She thought she did, but she was mistaken. People have a soul which is made to commune with God, but sin broke that relationship. Jesus at the well told her she needed Living Water. Many folks wrongly believe that Jesus is the Living Water, but not so (John 7:37-39). Water is used throughout Scripture as a symbol for the Holy Spirit (Ezekiel 36:25-27). We also tend to forget that God is a trinity and that the Father, Son, and Holy Spirit are all One. Scripture also calls the Holy Spirit the Spirit of Jesus (Acts 16:7; Philippians 1:19). Let's find out what role God’s Spirit has in one’s salvation. The third person of the Trinity is the Holy Spirit. The Spirit is he who begins God’s good work within us (Philippians 1:6). We saw in John 3:5-8 that the Spirit is the agent in a person’s spiritual rebirth. He opens the eyes and ears of our hearts so that we can understand the things of God. Remember, he opened the heart of Lydia so she could understand what Paul preached and only after that did she believe in God (Acts 16:14). If the Spirit had done the same with the woman at the well by this point, we can’t tell. She had some working knowledge of Scripture, as the Samaritans believed in the Pentateuch of the O.T., but not the rest of the O.T. But that limited knowledge falls short of the spiritual understanding needed to fully accept the gospel. God shows us things through the power of the Holy Spirit (1 Corinthians 2:10,13). The Spirit is the Helper sent by the Father and the Son (John 14:16). He helps them bring sinners back to God. The Spirit’s powerful influence guides and directs people physically, mentally and spiritually to the things of God. He injects thoughts and questions in our minds. He changes our views. He directs us to search for God. The Spirit regenerates our spirit and soul, empowering us to repent and believe in God (Titus 3:4-8). Has the Spirit been talking to you? Has he been leading you to thoughts you’ve never had before? Maybe you’ve been noticing spiritual things you’ve never seen or heard before. Maybe you’ve wondered why people can pray so lovingly and devoutly to God? Maybe you’ve wondered why people can lift their hearts to God in praise and seem to be taken to the gates of heaven as they worship? Maybe you’re starting to hear that secular music is not such a good thing? Maybe you’re starting to see things on TV that aren’t good to be watching? That’s the Holy Spirit, folks. That’s God working in and through your spirit and conscience to bring you to conviction of sin. He wants you to understand that God has guidelines for wholesome living and upright actions. The Holy Spirit convicts, using God's Law in reconciling people to God. 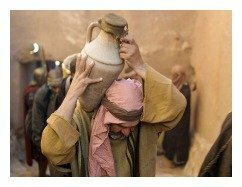 The Samaritan woman was still clueless when she told Jesus at the well, “Sir, give me this water so that I won’t get thirsty and have to keep coming here to draw water.” She wanted the living water in order to make her life easier. That’s the wrong reason! You should never want God to make your life easier! No where in Scripture does God promise to make your life easier. He tells us that his yoke is lighter, but that’s only because we can unload all of our troubles on him – but we still have troubles. In fact, after becoming a Christian, you may experience more troubles and tribulations! The difference is that we can now bear them with God’s help - the problems are put in proper perspective. Jesus at the well saw the problem with the woman’s motivation to drink the living water. So, he went straight to her heart. He took a flaming arrow from the Law and shot it at her heart. He told the woman in John 4:16, “Go, call your husband and come back.” She told him that she didn’t have a husband. He responded by saying “That’s right, but you’ve had five already, and the man you’re living with isn’t your husband.” In other words, “Congratulations! You’re not a liar. But, you ARE an adulteress.” Ouch! This floored the woman at the well - that this man could know her immoral history without ever meeting her! Jesus didn't even know anyone else from that area. She said, “Oh, so you’re a prophet.” Suddenly, she changed. She became totally embarrassed at this point. Now she’s talking to someone who knows her immoral history, who could possibly be thinking lowly of her. Jesus really wasn't thinking lowly of her, because he excuses our initial ignorance of the Law (1 Timothy 1:12-14). She abruptly changes directions here. The conversation turns as she changes the subject with Jesus at the well. That’s what happens when a person becomes convicted of breaking God's laws. She recoiled at the thought of breaking God’s law. 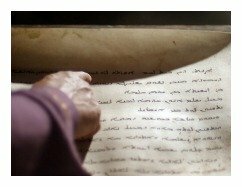 The 10 Commandments are written on our hearts as well as on stone tablets. When we knowingly break them, we come under conviction. We realize that we’re sinners who anger a holy God. We realize that our lives are separated from God because of our sin. It hurts and it’s embarrassing. We try and ignore it. We try and run from it. We try and hide. But we cannot run and hide from God's law. The woman at the well was a sinner - a big one. She knew it. Jesus knew it. But, fortunately that didn’t stop Jesus at the well. People like this woman are who he came to save. People who know that they’re sinners and need help - guilty people who seek forgiveness from a holy God. It is a sign of a humble person and that’s exactly who the Father wants! Some people are too proud, and defend their actions and ways, fail to realize their need of a Savior. God resists the proud (James 4:6) and gives grace to the humble. Let's now learn more about our role in salvation. God seeks a relationship with people. He wants to know them personally. He wants to be intimate with them. He loves people – he really does. He made us good, we went bad; but NOW he wants to make us perfect! We’re a work in progress, but with God's help we will someday be just like Jesus - perfect in the Father's eyes. The Samaritan woman at the well knew Scripture, at least as much as she could get her hands on. She knew that a Messiah was coming and she wanted him to explain these complicated things to her. She also said that the Messiah will teach people everything. But her knowledge was limited because of her circumstances. She wasn't raised in a God-fearing home. Jesus at the well surprised this Samaritan woman. He said, "I, the One speaking to you, am the Messiah." Shock overcame her. She fled because of her emotions. Her heart was racing and she wanted to tell everyone about Jesus! You see, with her prior statement (John 4:25) she expressed faith in God and the Messiah, although it was severely limited. I believe her salvation to be sure, as well, because of what Jesus said (John 4:21) about her future. You must learn the necessary knowledge needed to make a sound decision for God. You can learn about God and about yourself here at this site. Stories like Jesus at the well can expand your understanding of our great God. Bible teaching helps clarify your role in responding to our holy God. You can learn about your need for a Savior and God's plan to save you. You can learn about the necessary commitment you have to make to God in order to be forgiven by him. You can learn about the resources he gives you, so you can live a strong Christian life. You have a responsibility to learn about God and it's a huge responsibility. It takes time, effort, resources and devotion. You have to express your faith in God through the process. You have to prove your commitment to him through your obedience to his word. When you believe the moment to be perfect, express your thoughts to God. The moment you feel total conviction about your sins, is the perfect time to repent. Repent simply means to turn away from your way of doing things to God's way of doing things. Repentance means to turn from a sinful life that is void of God, to a righteous life that is full of God. It means to get off the wide and easy road that many people travel, to the straight and narrow road that few people travel. Repent means to begin thinking like your holy God instead of thinking like a sinful person. You also need to express your belief in God. A real belief that trusts in Jesus Christ alone for the salvation of your soul (John 14:6). True belief in God knows 100% that there is no possible way to become forgiven and righteous apart from total commitment to Jesus. Chatting with Jesus at the well, the woman discovered this truth. Are you with Jesus at the well today? Are you thirsting for his Living Water? I got great news for you! Jesus will give you the Living Water! He will open the floodgates of heaven. The Holy Spirit quenches the thirst of a parched soul and his river will never run dry (Revelation 22:1-6). Sinners Prayer. 1) Does it terrify you that God knows everything about you? Does it comfort you? 2) If you ran into Jesus at the well, which of the Ten Commandments would he confront you about? 3) The Holy Spirit is the Living Water, so why do we drink from other wells? What are some of the other wells that people choose to drink from? I bow to your mighty ways, O God! O Lord, quench our thirsty souls with Jesus at the well. After sharing this Bible study lesson on Facebook or Twitter below download your FREE printable Bible Study Lessons (pdf version): Jesus At The Well, Lesson 2.14. Special Note: I'm grateful to Big Book Media & Free Bible Images, Stock Exchange, Morgue Files, and Stock Photos For Free for the use of their photos for the Woman at the Well Bible study lesson.